Counting every dollar with you~: Free Sample: Contest! 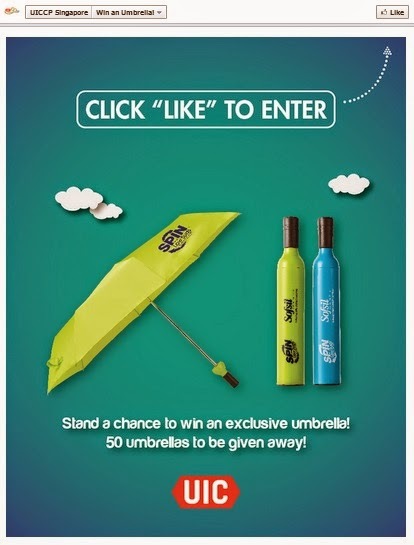 UIC Umbrella, 50! UIC umbrellas up for grabs! 50 Umbrellas up for grabs. Like them, enter your email & mailing address to stand a chance to win! 50 winners will be picked on 11th Feb (Tues).